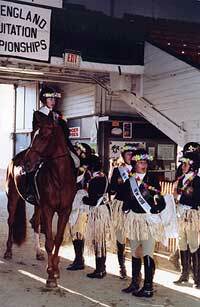 It seems like only yesterday you were thinking about first ponies and short stirrup classes. Now,in a blink of an eye, your child is about to graduate and enter a new phase of their life. It’s time to celebrate their last year as a Junior Equitation Rider. Please take a moment and go through the information that we would like you to share with us to make this special moment a time to remember for your child. To create the special video presentation for this year’s Juniors WE NEED YOUR HELP! The video, featured at the Friday evening celebration, is a compilation of photos that showcase the evolution of each of our graduating Junior riders…it’s a treasure trove of memories for all to share. Please send 3 photos of yourself as you have grown through the years (baby photo, riding photo etc.) for the annual video show. and provides a wonderful opportunity to congratulate your junior on their success, send a message of love and good wises for the future, thank those who have helped your junior achieve this important milestone, and much more. The template form shows a variety of options (size, number of photos, style, font, etc.) available for you to create a special tribute for your child in the show program. Please send or email your completed form and photos to Tobi Stall or Jacquie Maggiore, along with a check payable to NEEC. The deadline to be a part of the Official Annual NEEC Show Program is August 20th. If you need help or have questions, please call Jacquie at 781-718-2006 or Tobi at 401-924-1111. If you are a junior in your last year, please make sure your name is on this list. 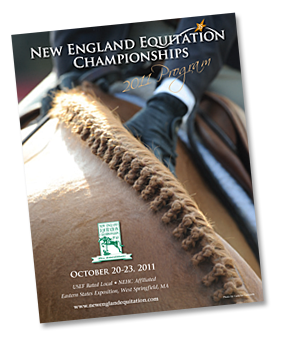 New England Equitation Championships pays a special tribute each year to riders in their last year of competition as Juniors.